The Hub received a total of 83 mm rainfall over the last week which was gladly received. This together with cooler temperatures has seen the soil temp drop to 15 degrees. With the forecast of warmer weather this week the soil temperature is likely to increase again. We are hoping that the rain and cooler temperatures, combined with the recent application of N to 92 ha of pastures will increase pasture growth. The farm team are aiming to hold the current round length, keep supplementing silage, PKE (in paddock) and the PKE/Barley mix (in shed feeding) to meet demand and look to build APC. 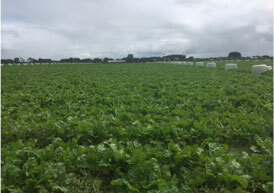 The kale and fodder beet crops are being monitored for pest problems and as the weather warms up a watch will be kept for and emerging fungal issues. The farm team have been required to graze the R1 heifers on the platform since weaning. A fortnight ago these animals were split into groups of 10 and spread across the platform. This was to reduce the impact on set areas and to ensure heifer growth rates were not compromised. In hindsight grazing R1 heifers spread out on the platform was probably not the best option during a period of low pasture growth and appears to have compromised the farms ability to lift average pasture cover. This has possibly contributed to 44 paddocks recording no or negative growth over the last week. 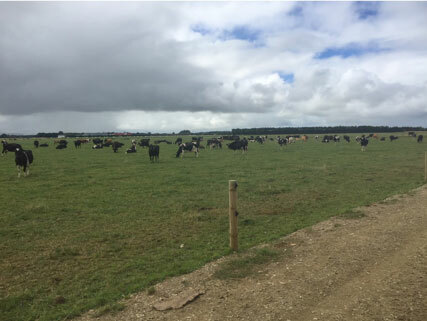 The farm team plan to re-group all R1 heifers back into one mob when they are drenched this week, train them to an electric wire and break feed one paddock at a time with silage added as supplement to pasture. Silage feeding will start at 1kgDM/head/day and increase up to 4kgDM/head/day if required. At these rates of PKE we are still recording a FEI target of A. The Hub did however slip into a B rating for one pick up and currently is on the line between A and B. 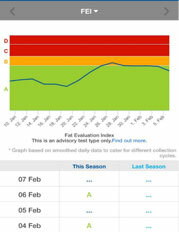 We target to remain in category A for FEI testing. Pasture residuals have been maintained no lower than 1500kgDM/ha, thanks for the rain, now bring back the sun!